"'The Mission Of A Scared Heart' takes place in Portland, Oregon in the year 2000. It follows a group of young creatives as they struggle with the question, why stick around? The protagonist is Zak Quisp, a suicidal graduate student and music junkie. His fiancé has left him with the alter and he’s facing dark thoughts. He’s joined by his friends, Lenny, a rock band leader, and Cozy, Lenny’s opera singer girlfriend, as well as Lucinda, a 19-year-old homeless mother. The final member of the cast is Telly Max, who may or may not be from another planet, but is also looking for the answer to this timeless question. The narrative is based on the author’s own issues with suicide and searching for the answer to the question, why is it so hard to kill yourself? Mission is a 'rock novel'. It is structured around a 1976 album by the Electric Light Orchestra. 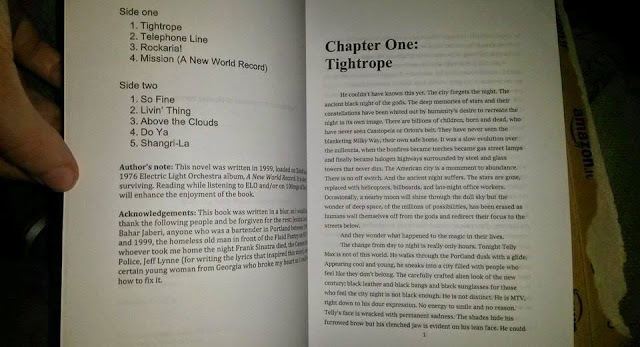 Each chapter is grounded in some of the elements of each song on the album. Mission has sold well as self-published paperback and ebook, garnering positive reviews and support from singers Storm Large, Amy Ray [Indigo Girls], Chris Robinson [Black Crowes] and actress Laura Slade Wiggins [Shameless]. It has been optioned as a screenplay in Hollywood and is destined for a larger audience." 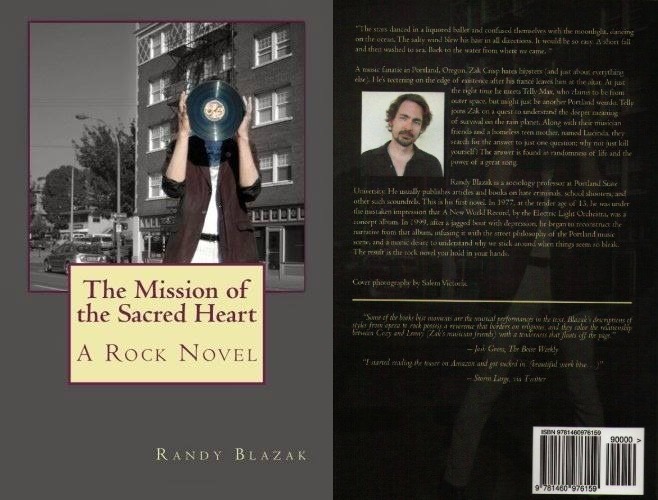 ELO Beatles Forever [ELOBF] recommends "The Mission Of A Scared Heart" by Randy Blazak to those enlightened folks who enjoy the music of ELO, Jeff Lynne, Roy Wood, The Move, The Idle Race, 'Brum Beat', The Beatles and related artistes. Thanks, Keith. 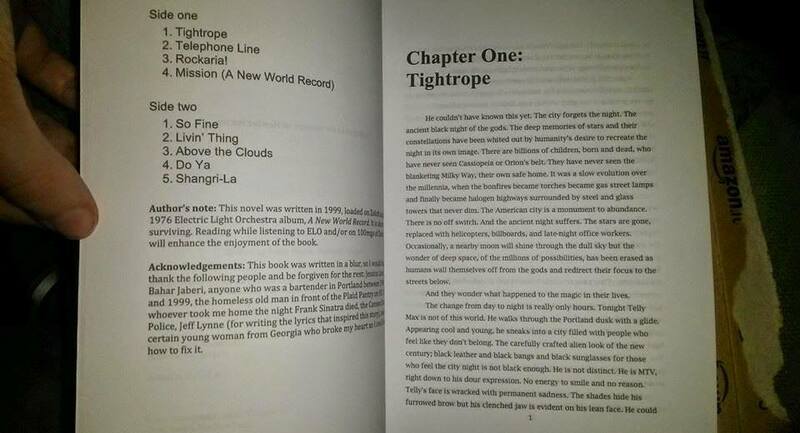 I think ELO fans will find lots of secret messages in this book, song lyrics, character names, etc. After all these years, A New World Record still takes me away to Shangri La. I just finished recording a cover of "Mission." Once I get it mixed down I'll post it to share with my fellow ELO fans. That and Shangri-La are masterpieces.